in any type of luggage. 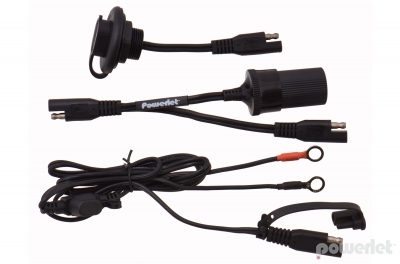 Our Universal Luggage Electrix Kit includes a waterproof connector, internal and external cables. Simplify your wiring by powering many devices from inside your luggage with our modular system. Less time wiring means more time riding! All Luggage. All Bikes. One Kit. 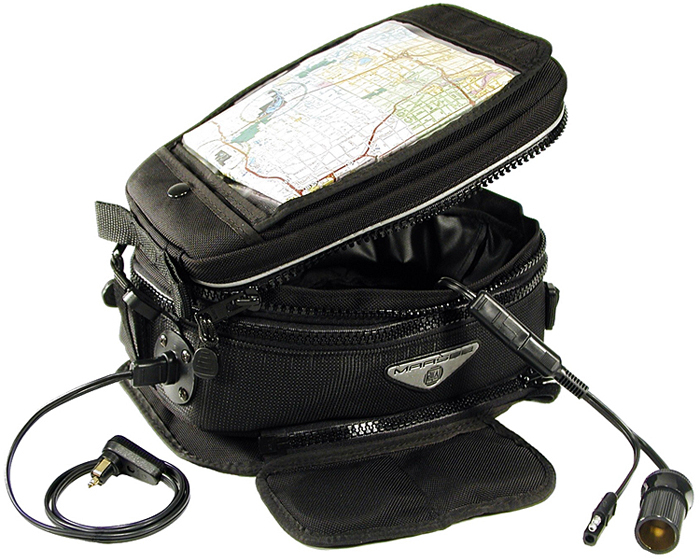 Tankbags are a great place to charge your cell phone or power a GPS. Easily power a radar detector for your commute to work. 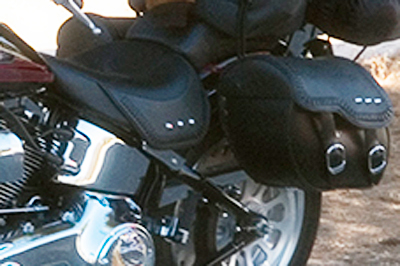 The heavy-duty wiring is engineered to withstand the high current of heated clothing. Clip your heated clothing temperature controller on the outside of tankbag and power your heated clothing through our Luggage Electrix kit. 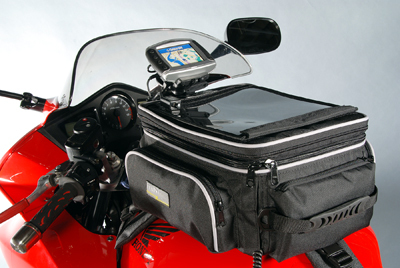 It does not matter if your saddlebags are made of leather, fabric or plastic our Luggage Electrix kit is garaunteed to be waterproof. Go ahead, charge your cell phone then power your ipod and the next morning plug in a coffee pot at the campground. 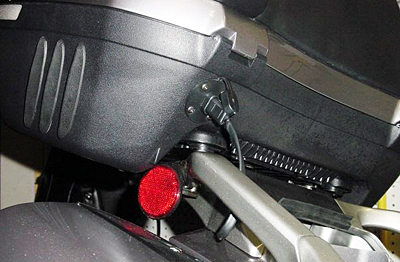 When it comes time to remove the saddlebag simply unplug the sturdy Luggage Electrix connector. If you are a salesman on the road, tour packs and top boxes are a great place to charge your laptop. Enjoy the convienience of a cigarette socket safely placed inside your luggage.